Set within the Suzhou industrial zone and directly above Times Square Station, this 11th floor flexible office space shares a presigious mixed-use complex consisting of office space, a five star hotel and a high-end shopping mall. A variety of workspace types are on offer here open spaces filled with like-minded individuals bringing in inspiration; fully furnished private offices customized to suit your needs; global access to meeting rooms within the network; and event venues in a variety of prime locations. This centre aims to provide business services and investments; endeavoring to develop a working environment that encourages communication, nurtures innovative ideas and fosters cooperation. This centre provides a variety of modular office spaces and workstations, as well as a tasteful lounge area and meeting rooms. Close to restaurants, cafés and shops, this centre is close to the subway and only 15 minutes from the airport. This centre is in the heart of Suzhou CBD, and offers a full range of office space solutions. A range of business services is available to help your business succeed. Office space prices ranging from ¥900 - ¥2500 per month. 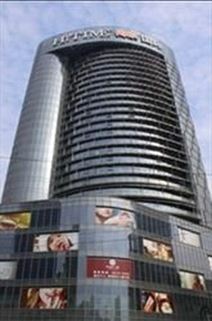 This prestigious landmark building is located in the centre of the Suzhou industry zone. 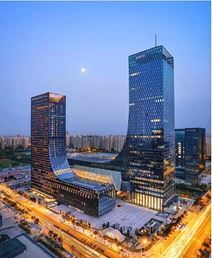 The mixed-use complex consists of a high-end shopping mall, 5 star hotel and international Grade A office building. This office space is on the 25th floor with Metro links within the complex and only a five-minute drive from the high-speed train station that links you to Nanjing and Shanghai. 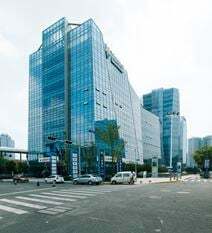 Ideally located close to the well-known Central Park and Xinghai Square and just a 15-minute drive from Suzhou Railway Station and Sunan Shuofang International airport this fully equipped 10th floor office space is perfect for domestic and international businesses alike. Conveniently located business centre in Suzhou, near Shanghai, offers innovative professional support and office services. The centre boasts features such as 24-hour access, meeting facilities - including video conferencing, translation services, administrative support, and complementary fruit, tea and coffee. The centre is next to the Dushu Lake campus of Suzhou University, and close to the Moon Bay core area. It has numerous transport links, including a free bus to and from the International Science and Technology Park, on Jin Ji Hu Road, and amenities of all kinds in the area.